DigiByte referred to as DGB, is a public, fast-developing and highly decentralized blockchain system, which supports multiple-algorithm mining. Currently, F2Pool has launched the DGB mining pool of Sha256d algorithm. Miners can use the Sha256d (available for BTC miners), Skein, Qubit, Groestl (Baikal-X miner), Scrypt (available for LTC miners) algorithms ASIC miners to mine. Here is the official wallet download link. Besides, DGB Official has also recommended another third-party wallet, which can be obtained from the link above as well. Here we will not list all the supported exchanges one by one due to its large number. Note: The worker name can be user-defined, which can be any numbers or letters; and it should be a dot “.” between the wallet address and the worker name. After the confirmation of the wallet address and the pool address, click on the button “Save & Apply” on the lower right. Then the revenue can be checked after the miner machine starts to submit the data. After configuring, click on “Save & Apply”. 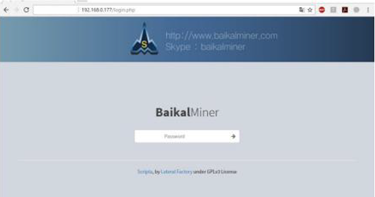 The miner will start to mine after a while and the mining status can be checked in the “Status” page. The default dash pool and 3 smart pools. After the configuration, choose “reload pools” and the new pool will be added successfully. it will start to mine DGB afterwards. Then you can go back to the home page and check the miner’s hashrate status. After the configuration, choose “reload pools” and the new pool will be added successfully. It will start to mine DGB afterwards. 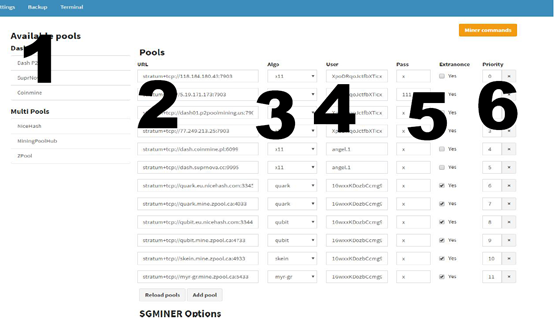 After the configuration, choose “reload pools”, and the new pool is added successfully, and begin to mine DGB. Method of viewing the revenue in the F2Pool website: http://www.f2pool.com/, input the wallet address in the searching bar on the top right of F2Pool’s site, choose the “DGB-SHA256D” algorithm and click on “GO”. Then the miner monitoring and the account revenue checking will be available. https://digiexplorer.info/, for checking the payout process.